The luxury residential market of Bengaluru is a key attraction for non-resident Indians (NRIs) as much as it is for the new-age professionals moving to the city seeking a premium lifestyle. Although the emerging suburbs, which have become more accessible with infrastructure improvements, offer numerous options for a premium living; some traditional localities continue to lure high-end buyers even today. For instance, central Bengaluru has been home to many high net-worth individuals (HNIs) and despite limited land availability, has plenty of new properties for sale. MakaaniQ lists the top five costliest localities in Bengaluru based on the current property prices in these micro-markets. Sadashiva Nagar is a posh locality in the heart of the city where many famous personalities reside. Proximity to the international airport and railway stations, with an upcoming Metro link, are the major location advantages of this place. The area is replete with the finest social infrastructural facilities viz. top-rated schools, hospitals and shopping malls. Prominent employment hubs like Koramangala, HSR layout, Hebbal and Electronic City are easily accessible from here. 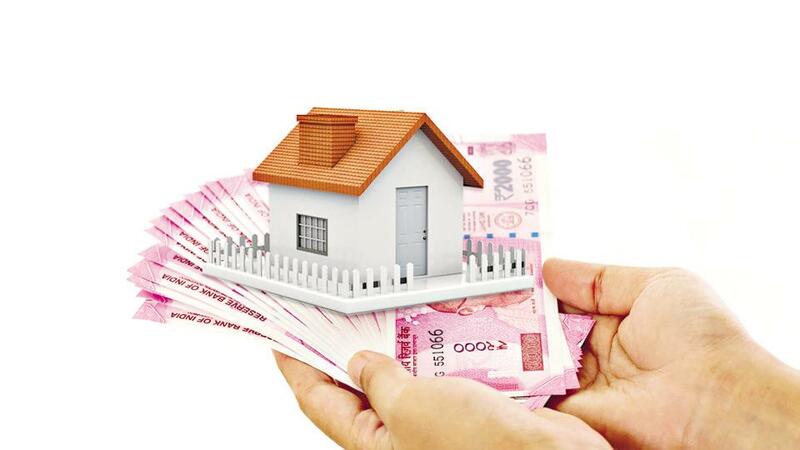 Homebuyers will have to spend Rs 24,200 to buy one square foot of property in Sadashiva Nagar. They would find ample options of spacious properties of 3, 4 and 5BHK layouts sized between 2,500 sqft and 5,000 sqft. The prices vary from Rs 3 crore to Rs 10 crore. Vasanth Nagar is one of the toniest neighbourhoods in central Bengaluru. It is home to many retired government officials and bureaucrats as the Vidhan Soudha is only two kilometres away. Developers have found this area to be a good micro-market for luxury projects. Connectivity via arterial roads like MG Road and Dr Ambedkar Road as well as the presence of quality social infrastructure enhance the liveability quotient of this locality. Properties in Vasanth Nagar, available at Rs 21,600 per sqft, are relatively affordable than those in Sadashiva Nagar. Buyers can find diverse housing options from small-sized 1BHK homes of 700 sqft to sprawling 4BHK residences of 6,000 sqft. The prices vary between Rs 1 crore to Rs 12 crore. Kodihalli is a locality in east Bengaluru which lies on Old Airport Road directly connecting with the business hubs around Marathahalli and Whitefield. The Embassy Golf Links Business Park is just eight kilometres away. Located four kilometres from MG Road, the area enjoys proximity with Indiranagar, Ulsoor, Thippasandra and the Krishnarajapura Railway Station. Being an established locality, Kodihalli bustles with contemporary social amenities. The average capital value of properties in Kodihalli is Rs 19,700 sqft. Roomy apartments of 3 and 4BHK configurations, sized from 1,500 sqft to 4,000 sqft are abundant. The prices vary between Rs 6 crore and Rs 12 crore. Nestled on the MG Road, 35 kilometres from the international airport, Ashok Nagar is another plush neighbourhood in central Bengaluru. A hotspot for high-end properties, the area has many ready-to-move-in and resale apartments on offer. It has good connectivity via Kamraj Road, Hosur Road and KH Road. The Indian Institute of Science is 10 kilometres from the location. Also, hospitals, clubs, shopping malls and entertainment zones surrounding the locality fulfill the lifestyle requirements of the residents. The average property price in Ashok Nagar is Rs 17,700 per sqft. Several mid-rise to high-rise towers in the area offer options of 3, 4 and 5BHK apartments sized between 3,000 sqft and 8,000 sqft. The prices vary between Rs 3 crore and Rs 15 crore. Ulsoor is a well-established pocket in central Bengaluru, located close to MG Road and Indira Nagar. Flanked by mini commercial hubs, the locality enjoys Metro connectivity through the purple line of Namma Metro. The area is also packed with contemporary amenities including speciality hospitals, sports centres, colleges and entertainment zones. Besides resale properties, there are newly launched projects available. Much cheaper than other central Bengaluru properties, apartments in Ulsoor have an average capital value of Rs 15,600 sqft. Homes of 2, 3 and 4BHK layouts are sized between 1,700 sqft and 6,000 sqft. The prices vary between Rs 90 lakh and Rs 15 crore.